“On Seeing” features a selection of color photographs that span Jay Maisel’s 60-year career in photography. He is best known for his emphasis on light, gesture and color, as revealed by the images on view. Maisel seeks moments of beauty and intrigue in everyday life, carrying a camera wherever he goes. Be it a window washer in Bogota, Colombia, a group of passengers seen through a bus window in Pinyao, China, or New York City’s urban landscape, Maisel’s subjects are captured in bold, dynamic compositions, framed by Maisel’s keen eye. 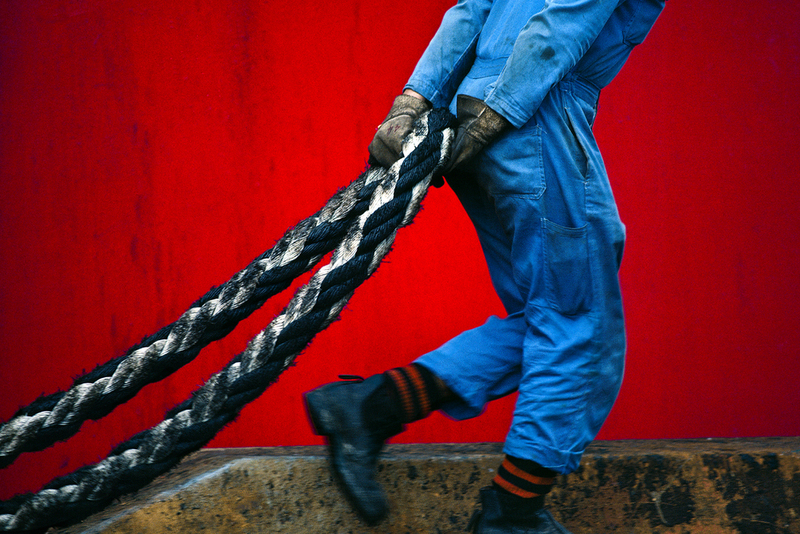 Jay Maisel began his career in photography in 1954, after studying painting and design at Cooper Union and Yale. Working in both the commercial and fine art realms, Jay is best known for his emphasis on light, gesture and color in capturing everyday life. Jay’s commercial work included shooting multiple magazine covers, jazz albums, advertisements and more. Notable achievements include shooting the first two covers of New York Magazine, the cover of Miles Davis’ Kind of Blue (the best-selling jazz album of all time), and twelve years of advertising with United Technologies. Jay has been recognized for his success with numerous awards including two from ASMP, Lifetime Achievement and Photographer of the Year, the International Center for Photography's Infinity Award, and induction into the Art Directors Club Hall of Fame. His work also appears in books and in private and corporate collections. Jay lectures extensively and teaches photographic workshops across the country, including an annual workshop at Maine Media Workshops in Rockport, Maine. A complementary exhibition of additional works by Jay Maisel will be on view at the Maine Media Gallery at 18 Central Street, Rockport, Maine from August 18 through September 19.